Austin Osmanski has gone from worst to first. 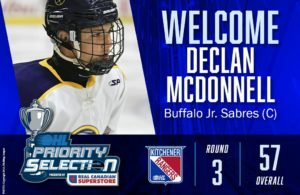 Osmanski, the Buffalo Sabres 2016 7th Round pick and East Aurora, NY native was traded from the last place Mississauga Steelheads to the Eastern Conference leading Peterborough Petes earlier in October. 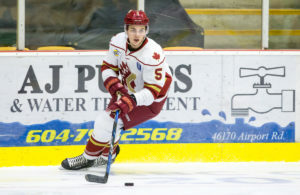 Since joining the Petes, Austin has a goal and 5 assists in just 8 games and will look to add some size and sound defensive play on the backend for a Petes team that should be at the top of the OHL standings right up until the playoffs begin.